Identity-as-a-Service (IDaaS) solutions are hot right now. Companies in the space are raising massive amounts of money while customers are clamoring to figure out their IDaaS needs. Even Gartner is actively tracking this sector. 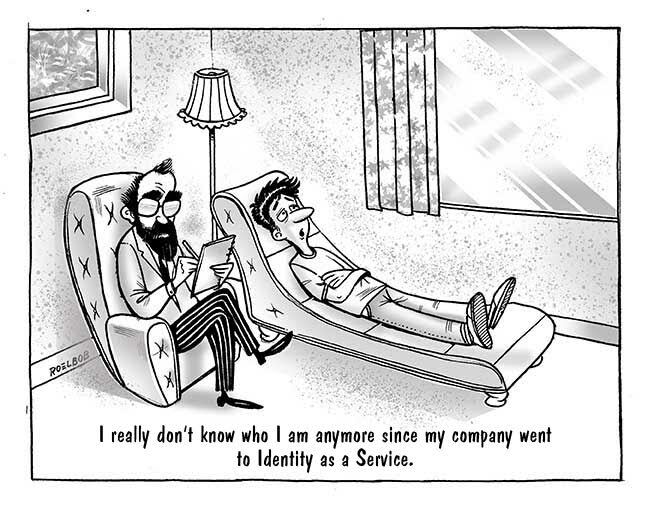 The question, though, for IT organizations is fundamental: What is Identity-as-a-Service? Alas, this question is not so easily answered. You’ll find slightly different definitions throughout the industry. When you take into account all the vendors in the space, it is easy to be thoroughly confused. In order to choose the right Identity-as-a-Service solution, start with your requirements. Ignore what the outside world is saying to you about what it should mean, and define what it does mean to you. The conventional wisdom is that anything ‘as-a-Service’ must be delivered from the cloud. While that may be other definitions, it may not work for you. Discard whatever isn’t useful for you during the discovery process so you can more readily define your own requirements. Here are some areas to get you started in thinking through IDaaS in your organization. Do you need your IDaaS to be your core, authoritative user store? Many organizations don’t have a central user store or are leveraging Google Apps as their directory, and that’s not a directory service! There are options for you to leverage as your central directory, including some cloud-based options. Identities are created for a reason – to connect users to IT resources. Some pundits in the industry are so focused on the identities themselves that you end up losing sight of the reason they exist. Do you need your IDaaS to connect to devices, applications, and networks? Or some portion of those? Maybe just cloud applications? Perhaps just your devices? You choose your requirements. Is your IDaaS going to be delivered for you as a traditional SaaS solution or are you planning to manage it yourself? Perhaps you are managing it yourself but are delivering it your customers. Isn’t that Identity-as-a-Service, too? Or does it just have to be in the cloud, delivered by a third-party provider? Use these core requirements along with other, more specific ones as you think about what type of Identity-as-a-Service platform will help you. As you work through the requirements, let’s take a look at a few different categories of Identity-as-a-Service solutions that could be helpful for you. Directory-as-a-Service –The core user store for your identities. This class of solutions is delivered from the cloud and as a SaaS-based solution. Single Sign-on – Another Identity-as-a-Service category, these solutions connect users to their web applications through one set of credentials. Directory Extensions – For those that already have a directory, this IDaaS platform extends that directory out to mobile devices, cloud infrastructure, and remote employees. If your vision doesn’t fit within those categories, there may be other parts of the IdaaS space that could be helpful. It’s a complex category, but these areas are the most common. Your approach to IDaaS can be customized to your organization. Don’t let third parties dictate how you think about it and what approach is best for you. If you would like to discuss more about Identity-as-a-Service, drop us a note. We’d be happy to discuss and debate our perspective, while understanding yours.